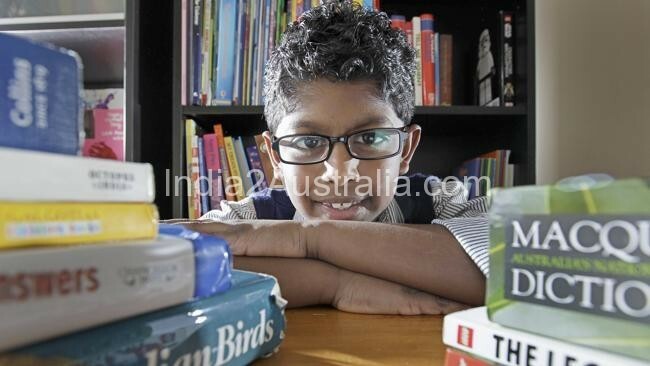 Anirudh, earns a Macquarie Dictionary, a sprout computer, a Pro Slate 8, $10,000 worth of equipment for the childs school sponsored by Woolworths and $50,000 worth of education sponsored by Commonwealth Bank. Unlike other reality shows, everyone’s a winner; the five runners-up will all receive a $10,000 scholarship, a Hewlett Packard tablet and $1000 of education goods for their school. Anirudh – who cites his favourite word as “euouae” – has also won an impressive $10,000 worth of goods for his school. Anirudh said he couldn’t believe his luck after winning the generous scholarship, and asked his fellow spellers to “pinch” him. In 2013 Anirudh won his maiden competition when he beat out students from 17 other schools to take out the Spellmasters Australia Junior Division Round 5. Anirudh is a student of Haileybury in Keysborough. Anirudh’s parents are from the state of Tamilnadu in India.